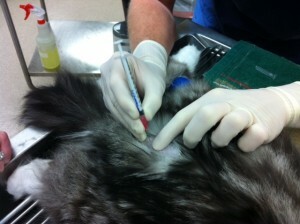 (FUO) is a common emergency condition seen in feline medicine. This disease is not only life-threatening, but can be painful as well. Once the acute obstruction has been relieved, the focus is often shifted to pain management to help reduce urethral spasm. In this VetGirl podcast, we evaluate the use of a new pain management technique - coccygeal epidurals - and how this easy to perform technique may benefit cats with FUO. For more information, check out our epidural video, where we walk through the steps of what you need and how to perform an epidural.